Speaking to APC party faithful at a rally in the party’s office in Freetown, the newly coronated vice president Foh told party officials to be patient, and that their rewards will soon come. He spoke about how APC rewards loyalty, but said nothing about how – if at all, he would help fight Ebola, bring poverty to an end, create jobs for the youths, improve sanitation and health. Is Foh employed to serve the people of Sierra Leone? No. 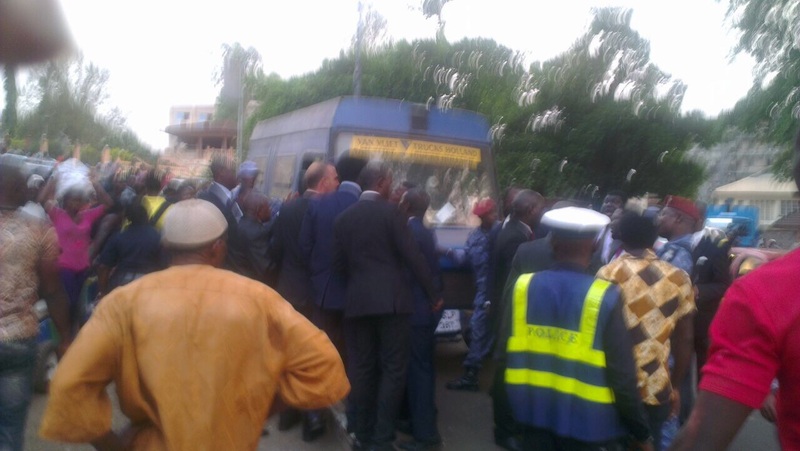 ‘I am here to serve president Koroma, and this is payback time for loyalty’, he said. The people of Sierra Leone are starting a new week in a country, whose controversially appointed vice president Victor Bockarie Foh, is believed to be carrying a much more bigger corruption baggage, than all of the unscrupulous ministers in the Koroma government put together. And this sad reality is destined to further damage Sierra Leone’s already battered image globally. Former vice president Samuel Sam – Sumana, now banished into political wilderness, is no saint and he perhaps would be the first to admit it. 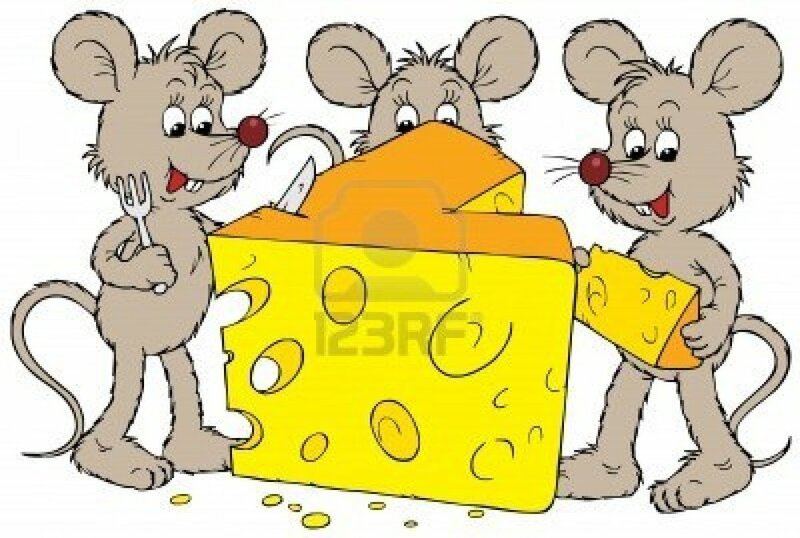 It seems Koroma’s obsession with appointing mice to watch over the cheese, has come to define and shape his two terms performance in office. But this latest appointment of his new vice president – a politician whose persona and character is defined by the notorious corruption scandal of the 1980s – dubbed ‘vouchergate’, simply goes beyond the pale. President Koroma must surely believe that the people of Sierra Leone are fools. In 1980, Victor Foh, along with several ministers in the Siaka Stevens government and a handful of state officials, were ‘investigated’ for the disappearance of more than $50 million dollars from state coffers. This investigation was reluctantly carried out, after the IMF threatened to impose huge financial penalties on the APC government. Whilst some of those officials with little or no connections to the ruling APC party hierarchy were incarcerated at Pademba Road prisons, pending their court trial, party commissars like Victor Foh were being knighted by president Siaka Stevens for their loyalty. Today, victor Foh himself admits that his coronation to the office of vice president by Koroma, is a reward for party loyalty, which he refers to in his acceptance speech as “payback time”. 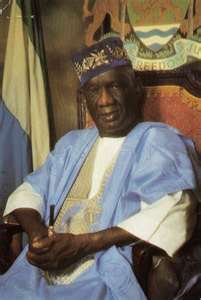 The 1980s in Sierra Leone – ruled by Victor Foh and his APC masters, was a defining period in the country’s history. It will be remembered most, for the deep-rooted culture of corruption, impunity and economic hardship – where citizens had to queue up (‘towline’) for the most basic of consumer items, including rice. That era – the vouchergate scandal years, will also be remembered for the obscene opulence and decadence of those in power, and their gross mismanagement of state funds and public affairs. And above all, the unlawful use of armed security militia and the heavily politicised police to brutalise the people and fight old political battles, not only brought fear to the rest of society, but killed meritocracy, and encouraged the exodus of thousands of professional Sierra Leoneans out of the country. 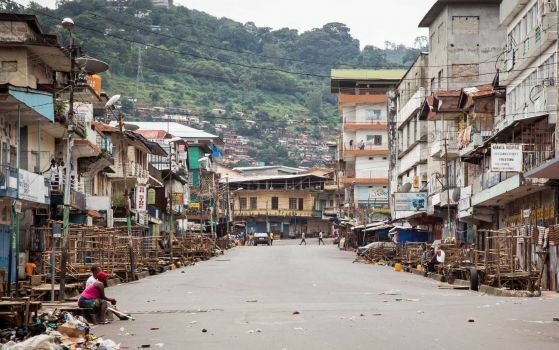 The poor and deplorable state of governance, presided upon by Victor Foh and his ruling party despots, eroded civil liberty and democracy, and stunted the social and economic development of Sierra Leone, which largely contributed to the start of the rebel war in 1991. The failed era of the 1980s, was also characterised by and will be remembered for, the grotesque staging of the failed OAU conference in Freetown – a lavish affair for the rich and famous – the country could ill afford. With an initial budget of $100 million, president Stevens and his cronies – including Victor Foh, presided over inflated and runaway costs of staging the conference, from which millions of dollars were stolen, and infrastructure contracts uncompleted. Roads, government buildings, streetlights and several new infrastructures were shoddily constructed and quickly became dilapidated, contributing to an environmental blight – never seen before in Sierra Leone, due to lack of maintenance. They were left in ruins, as funds were siphoned off into the pockets of ministers and their cronies. Yet, today, as the poor people of Sierra Leone go about their daily chores and toil, struggling to eke out a living for a meagre existence, their ears are being battered by the blaring sirens from the strings of luxurious convoys of 4x4s carrying the newly coronated vice president to State House to ‘meet the king’. What an irony. Victor Foh is back at State House with a new swagger. But this is nothing new in Sierra Leone. The corridors of power are today littered with ugly relics of corrupt and depraved politicians, whose past records have more black dots than anyone can imagine. Former president Siaka Stevens must have turned in his grave, upon hearing about the news of Victor Foh’s coronation by president Koroma. SO WHERE DOES SIERRA LEONE GO FROM HERE? 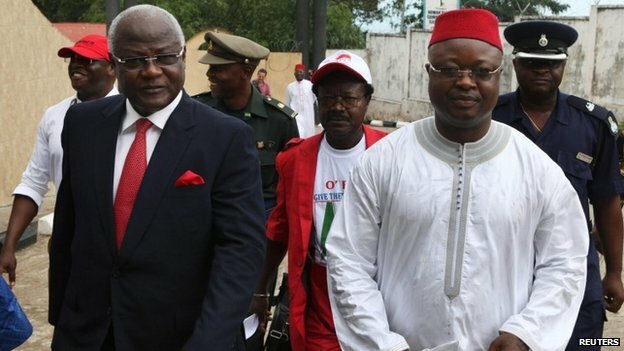 President Koroma may have done what he felt he had to do, in order to save his own skin and protect his political and financial interests. But this is very much transient, and will be seen as nothing other than a sticking plaster on a gaping untreated sore. President Koroma has announced another three day lockdown restrictions, starting from the 27th March to 29th March. His aim is to bring the Ebola virus to and end by 15th April, as agreed between the three leaders of neighbouring Liberia, Guinea and Sierra Leone. Liberia which had shown how Ebola can be kept at bay, has for the first time in three weeks recorded a new case, while Sierra Leone continues to record an average of 15 new cases and 12 deaths a day, since February, 2015. Ebola has taken the lives of more than 5,000 people since the outbreak in March 2014 – though the government’s under-reporting, puts this figure at 3,360 dead, including 200 nurses and 11 doctors. Last September, a similar lockdown resulted in very little. The government said that 59 bodies were removed from homes and hundreds of thousands of people sensitised about the dos and don’ts of Ebola. But in the period September 2014 and January 2015, there was a massive rise in the number of new cases, despite the controversially and poorly organised one week lockdown. Since then, the number of new cases has reduced by more than 60%, giving suspicion of the ebola virus perhaps mutating to a much weaker strain. Efforts in producing a vaccine are still ongoing. But it seems the pace of the suspected mutation of the Ebola virus, is far greater than the pace at which vaccines are being developed. 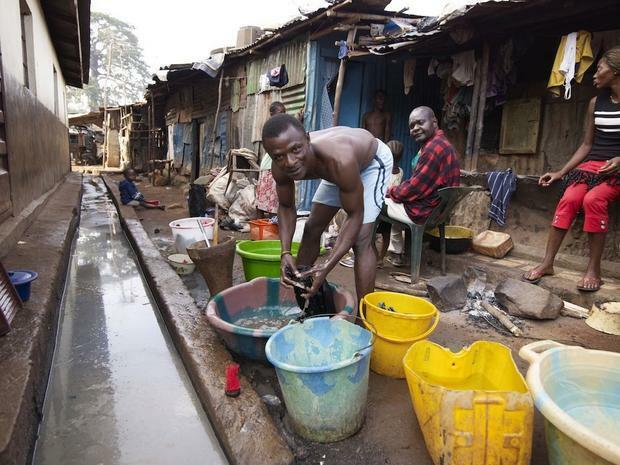 The virus is now entrenched in the capital Freetown and the three major northern districts of Bombali, Port Loko and Kambia. If transmission of the virus is not arrested in these regions, then the entire country will face another epidemic. Last week, China said that it was drawing down on the number of their medics serving in Sierra Leone by more than 30%, as 14 Americans and 6 British medics were evacuated from the country. The American Centre for Disease Control has handed over an Ebola treatment centre costing $4 million to the government of Sierra Leone. Koroma’s promise of sending children back to school is yet to be fulfilled, as parents and teachers refuse to wholeheartedly support the reopening of schools, given the continuing rise of infection and transmission of the virus. So, going forward, president Koroma and his newly coronated vice president, have got much more to do in bringing the virus to an end by 15th April 2015. There is hope that once the virus has been driven out of Sierra Leone, by September 2015, the country’s economy and social life should see a return to normalcy. 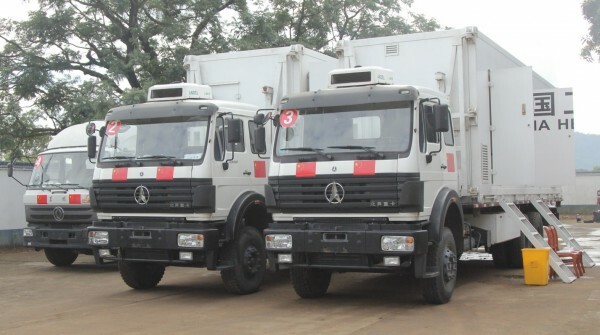 But president Koroma must quickly bring the State of Emergency to a close, which as has been proven in the last few days, has done nothing to help curb the virus, but instead used as a political weapon for curtailing the civil liberties of those speaking out against the government and the APC party. And by the end of 2015, the people of Sierra Leone should earnestly resume serious debate about the country’s constitution that will ensure major changes to prevent the recurrence of the political circus that has been witnessed in the last few weeks. And by mid 2016, the two main political parties will no doubt have spilled a lot of blood on their carpets, after knifing each other at their party conventions, where flag bearers for presidential elections will be elected. If nothing else is certain now in Sierra Leone, one thing surely is clear. That is, after the political chaos and drama of the last few weeks, culminating in the coronation of vice president Foh, the people of Sierra Leone deserve change – a change they can trust to bring an end to decades of corruption, economic decay, abject poverty, and massive unemployment. Further electoral reforms in preparation for the 2017 – 2018 elections, thus avoiding the chaos and voting malpractices witnessed during the 2007 elections which were also repeated in 2012.